Author adminPosted on January 11, 2019 April 4, 2019 Categories RadpartsTags OEM Linac System Replacement Parts, Replacement Parts for Linear Accelerators, Replacement Parts for Radiation Oncology EquipmentLeave a comment on Does It Cost Money to Have an Old Linear Accelerator System Removed? When many of us think of cancer and how it affects us and the lives we lead we are more often than not picturing human patients however, we are not the only ones that affected by cancer. Today’s post is all about cancer in our pets and how their treatment includes similar treatment plans and medical equipment. Just like in the treatment of cancer within humans, pets use radiation therapy in various forms to shrink and kill tumors. Radiation therapy delivered to pets can take various forms with the most common form of radiation treatment being delivered via linear accelerators with multi-leaf collimators. The multi-leaf collimator moves while the radiation treatment is on and being delivered to the patient. This allows the radiation therapist to sculpt the treatment around the tumor with very little damage done to cells outside of the area. Another form of radiation therapy that is used to administer radiation treatment to pets and humans alike is Cyberknife, a linear accelerator that is paired with a robotic arm. This combination allows the machine to move around the patient. The radiation beam is turned off and on and is able to deliver radiation to the tumor from several angles. This ensures that the treatment conforms to the shape of the tumor within your pet. Treatment can also be delivered through a Tomotherapy machine. A Tomotherapy unit is best described as a mix between a LINAC and CT scanner. It allows an image to be taken of the tumor right before radiation treatment is delivered. The therapist uses the images that are produced to guide radiation treatment to the tumor. Tumors of the brain are treated with a very specific method of radiation known as the Gamma Knife. The word knife in the name may lead you to believe that cutting is involved however this is not the case. 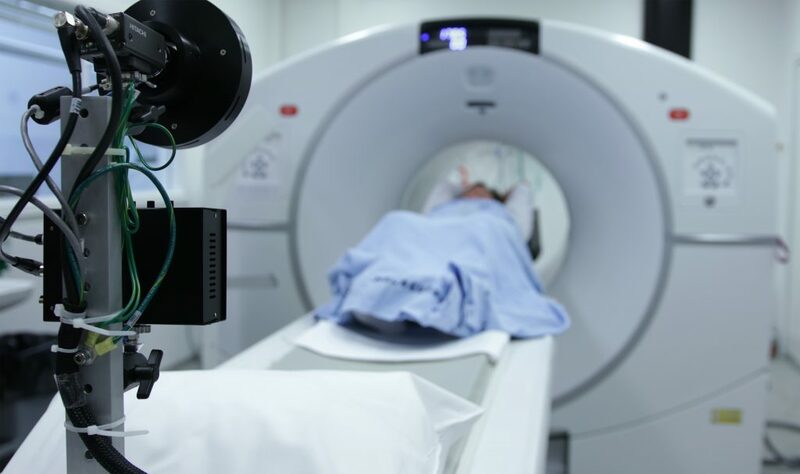 What occurs in Gamma Knife treatment is that very high doses of radiation are delivered to a very specific location on the brain while avoiding normal brain tissue. As with humans, radiation therapy can be prescribed to pet patients through a variety of methods. One method is known as hyper-fractionated which means that many small doses of radiation are delivered to the pet with the goal being complete eradication of the tumor. This method is most often considered after surgery has been performed when there are small bits of the tumor left behind. Another method is known as hypo-fractionated in which radiation therapists use large doses of radiation in order to treat tumors that cannot be removed through surgery. A more advanced scheme of delivering radiation treatment are Stereotactic Radiation Therapy, SRT. This includes both SRS, Stereotactic Radiosurgery, and SBRT, Stereotactic Body Radiation Therapy. These methods both deliver high doses of radiation in one, two, or three treatments.